The Wool Ball is felted around a bell. The Wool is minimally Processed and not Dyed. 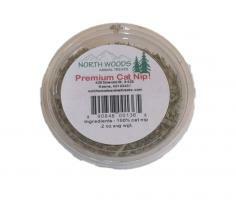 Premium Catnip sticks to the ball for hours of fun! When the catnip is exhausted, simply put the ball back in the bag with more catnip and Shake! There is nothing like this on the market, and your kitty is just going to love it! Each bag contains a hand made raw sheep's wool ball that is felted around a bell. The wool is all natural, minimally-processed and not dyed. The ball is surrounded by premium catnip. 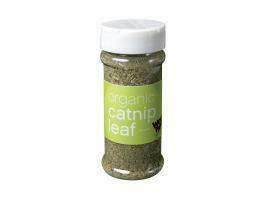 When the catnip is off the ball, put the ball back in the bag and shake it up for more catnip fun. If the ball gets too fuzzy from playing, put it through a washer and the dryer cycle and the wool will tighten back up. Cats carry this ball around the house like nothing you have ever seen! They just love this toy! 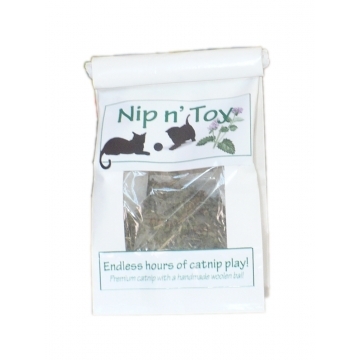 To see a Nip & Toy in action, Click Here!!! !